It’s getting quite exciting here at the minute as the Content Team and the Tech Team are putting the finishing touches to the launch of first ever City Guide. In the less sexier times when Corporate Boards are beginning to feel the heat of lack of capital and a global meltdown, good news never ceases to cheer up the diehard optimistic IHRites. Continuing with some stupendous developments in the recent past (as informed through our earlier posts), IHR is now all set to roll out its City centric guides. Termed as “City Guide”, it is written with an insider’s perspective to bring out a city’s hidden gems. It would be a trailblazer of sorts and intends to revolutionize the entire experience of traveling. To keep the faith in troubled times in face of terror attacks ( latest victim being Mumbai ), skyrocketing prices and depleting funds our first City Guide is devoted to Katra – starting point of the journey to Vaishno Devi’s Darbar. IHR envisions a plan to bring out exhaustive City Guides for 60 cities across India. There are some common threads running across the selected cities. All of them are offbeat and underrated destinations but with immense tourism potential. It has some very remarkable features including some stuff that you will not get anywhere and are unique to IndiaHotelReview. Written with a fresher perspective by dedicated Travel Writers of IHR who believed in having first hand experience and an unique approach of discovering a city inside out. Very soon – probably by the end of this month (November), we are currently testing all the pre-launch technicalities and UI checks like URLs, Navigation and JS validations across diff resolutions. The quarter from October to December is the time of the year when our sales teams becomes workaholic and in general remains a busy bunch. So what keeps them busy, pat comes a reply- Kerala is the flavour of the season. “November, December are definitely the Kerala months” quips Vishal. Enticing Beaches, good weather makes people in droves to head for Kerala. Heavy bookings are done till almost January 15th when the season ends. By the way who are the people traveling to Kerala this season, the answer to this seemingly innocuous question left me with some sort of bemusement? “Maximum bookings we are getting are from southern states only. Northerners do not travel much if it is not honeymoon, pilgrimage or weekends”. Rues Vishal. What makes Kerala so special I put the question to ever smiling and obliging Sachin. He gives a detailed reply. “A 3 day package, to say a Hill station destination costs around 15-20 K now as compared to that the Kerala packages are pocket friendly a lot. By spending the same amount, 4 to 5 destinations can be easily covered in Kerala. He further adds “ The Kerala packages comes with the added bonus of unique House Boat stays and a cab at the disposal for sight seeing. Moreover the drivers also double up as Guides and are generally very well behaved and friendly”. Apart from Kerala, weekend trips, LTC packages and regular beach destinations keep the coffers full. “Mumbai and Bangalore weekends are very popular” says Vipin transfixed to the monitors. What about Delhi Weekends? “Not much to make Delhiwallahs travel is a challenging proposition” he retorts smilingly. LTC continues to be a steady performer for us with regular bookings for North East and Andaman in line with the government’s impetus for North East. Finally coming to the most important part of revenues “October has seen net sales worth around 7 lacs and for November and December we are expecting more” says Priyanka in an optimistic note. It has been around 4 months that we have shifted to a more spacious location at B-75 Sector -63 Noida from our previous address of A-1 Sector-10. The place is really cool with a beautiful playing ground just opposite to our swanky premises. The Guys are really enthused to find some “real space” at last. We welcome two new members who have joined in November. 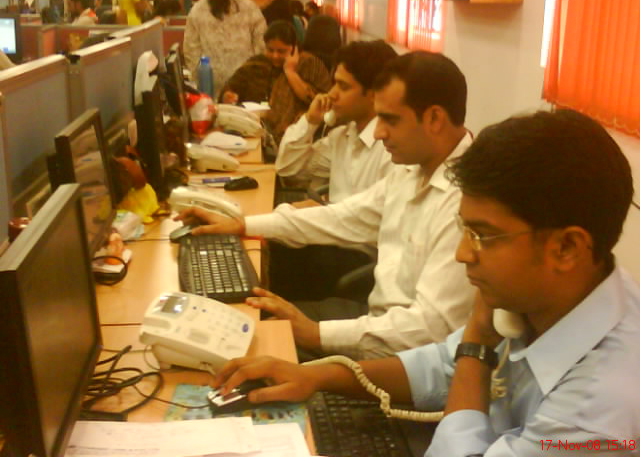 Arti joins as a Support staff and Suerendra as a Telecaller. With this, the total strength of team IHR is now raised to 23. Hope the new faces bring in fresh energy and work in synergy with the team. The “exciting Kerala” package was a runway hit within a month of its launching. The 60 odd packages for Kerala was a dream come true for budget travelers who were able to explore the “Gods own Country’’ without paying through the roof. This was made possible by some concerted and determined effort of our sales Team. Kudos to them. very near to Kota to sell LTC packages. The counter was inaugurated by Dr. Nakhatdan Varhat Additional Collector of Rawatbhata in presence of Ankit Rastogi, Business head of IHR. Our hardworking and multilingual BD guy Pradeep is managing the show there. Latest news is that such is the response we must need to depute another person to assist him. Primarily Pradeep is entrusted to sell IHR’s attractive North East Packages. The packages are divided into two sectors namely Guwahati, Shillong, Cheerapunji, Kaziranga and the other is Darjeeling, Kalimpong, Gangtok, and Pelling. Recent untoward events not withstanding we are getting some terrific responses. Keep up the good work Pradeep! October and November were very eventful months in many ways. We have got nominations For TATA NEN Startups Awards which is the first ever people’s choice Awards to recognize the highest-potential startups in India. Still rejoicing and it was followed with getting nominated for the best Website of 2008 contest instituted by MetrixLab a leading global Online Market Research company. Here we are rubbing shoulders with the biggies of the ferociously competitive Travel industry. Let’s keep our fingers crossed. We plan to have city experts live 24 x 7 for the convenience of travelers along with other user friendly formats to make hotel bookings a very comfortable experience. We would continue in our endeavour to give unbiased and non judgmental opinions about hotels. Shortly we are going to launch exclusive City Guides which promises to explore a city as no one has done before. No matter if you are on a pilgrimage, trekking or just unwinding on a casual weekend break. These City Guides would help to plan your breaks better.